We believe that the core of lasting behavioral change is a heart change and that the deepest heart changes are found in one’s identity. When a person is “born again,” God exchanges His righteous life for our sinful life. Our response to this grace is to joyfully embrace our new identity, which is now rooted in Christ. Our lives take on a new purpose and hope for successful living in a world of great uncertainty and conflict. God uniquely uses marriage and family relationships to teach us about His love and provision. We honor marriages and families and seek to strengthen and bless these relationships in the lives of the people with whom we work and serve. 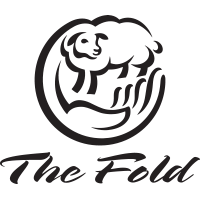 The Fold seeks to be a positive influence and a resource to the local community. We seek to build relationships with individuals, churches, and organizations in such ways as to promote the Gospel and meet the needs of the people around us. We believe in loving, sharing, and teaching in the context of meaningful relationships for the purpose of blessing and maturing others. We embrace an attitude that everyone needs a mentor (someone speaking truth into his or her life) and a mentee (someone’s life to speak truth into). We actively engage in equipping staff, residents, parents, and others to take a viable and vital role in leadership within the greater Christian community. Strengthen families and the greater Christian community to promote a safe and godly society. Changing Lives. Renewing Hope. Restoring Families.